A 25-year-old woman died early Sunday after falling over a railing from Upper Wacker Drive to Lower Wacker Drive in the Loop, according to police. 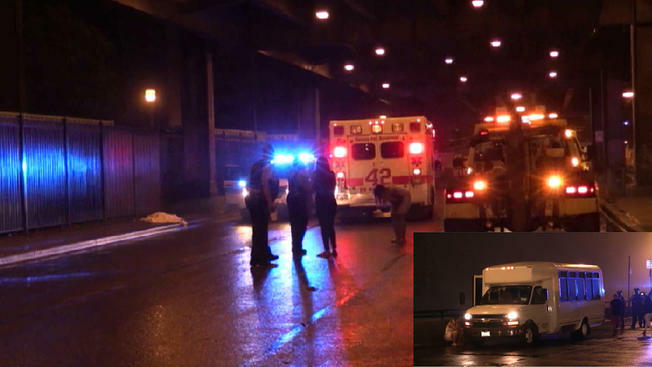 Generra Lee, of the 5700 block of South Damen Avenue, was leaning on the railing on Upper Wacker Drive around 3:25 a.m. when she slipped and fell to her death on the pavement in the 400 block of East Lower Wacker Drive. Lee was pronounced dead on the scene, police said. Officers on the scene could be seen trying to comfort Lee’s grief-stricken friends, who were presumed to be with Lee the night leading up to the fall and witnessed her death. The group was reported to have just gotten off a party bus before the fall. After the accident, the bus could still be seen parked on Upper Wacker Drive. Officials believe her death was accidental.